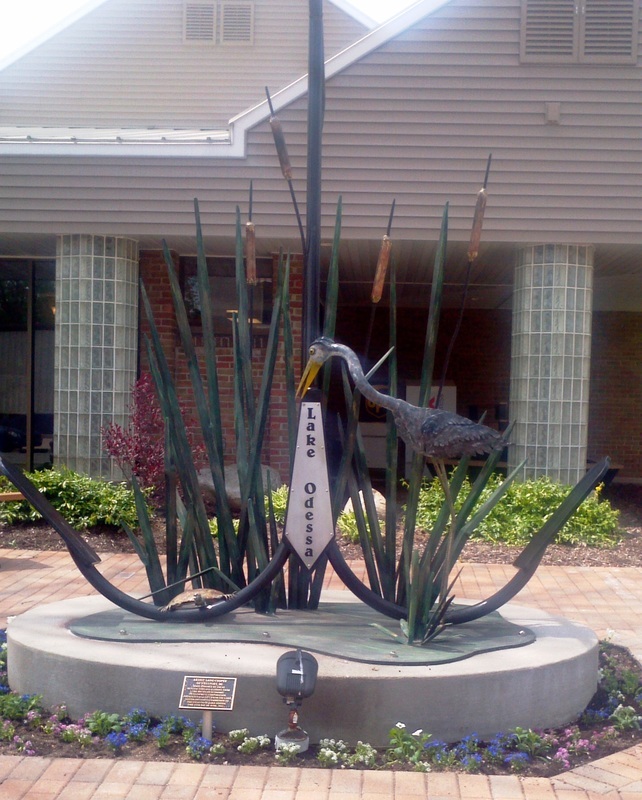 In the spring of 2011 the LOAAC officially dedicated a public sculpture, created by metal artist Layne Cooper, as a gift to the community. Funding for the sculpture was made possible by an “Arts Build Communities” grant in the amount of $2,500 through the Michigan Economic Development Corporation's Rural Arts Program. The sculpture was fabricated from steel, then sandblasted and powder coated. Measuring eight feet tall and five feet wide, the sculpture depicts an anchor, which represents the village's logo, and a blue heron and cattails, representing Jordan Lake and the Village's abundant natural resources. (Right) Flowers planted in May 2015 beautify the sculpture for display during the summer months.